For many, the term “dream yoga,” conjures up a spiritual discipline of Indian origin for the purpose of becoming lucid during dreams and sleep. Lucid dreaming has traditionally been done for two purposes, to understand and recognize the illusoriness of all experience so as to wake up out of it, and to gain yogic control, and therefore freedom from karma and suffering. Texts on Tibetan dream yoga, such as Chogyal Norbu’s Dream Yoga and the Practice of Natural Light, emphasize the former, while approaches such as Stephen LaBerge’s, emphasize dream yoga methodologies which are affiliated with traditional shamanic goals of control, freedom, contact with other-worldly assistance, and adventure, as well as open-ended enquiry into the nature of the phenomenon. I have written about the former in an article on Tibetan Dream Yoga and the latter in Shamanistic Attributes of Dream Yoga, both to be chapters in a forthcoming book, Dream Yogas. In addition, the yoga of deep sleep, or nidra yoga, is a process of learning to maintain clear awareness during a normally deeply unaware state. An overview can be found in Nidra: The Yoga of Dreamless Sleep, another chapter for the same text. Many people equate dream yogas and lucid dreaming with enlightenment because they involve waking up in other states of consciousness. The approach to dream yoga developed and taught by Integral Deep Listening (IDL), notes that dream yoga and lucid dreaming are unreliable indicators of enlightenment, because children, alcoholics, and criminals can lucid dream. Lucid dreaming and dream yoga do not necessarily lead to enlightenment, although they can certainly support it. 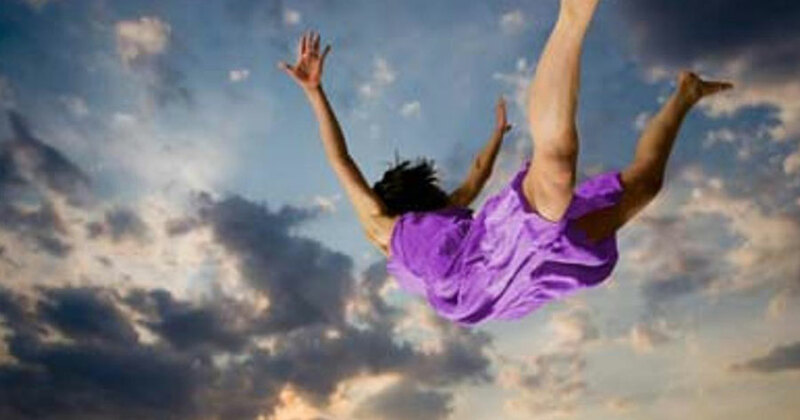 The ability to lucid dream is one of many lines of development. Just like mathematical, physical, artistic, or charismatic competence, you can develop an amazing ability to lucid dream and not be enlightened. For IDL, and indeed for most integral approaches to development, enlightenment involves the balancing of a number of competencies not once and forever, but again and again, within evolving, expanding contexts. Basic lines, or those essential for evolution, awakening, and enlightenment, include the self, cognitive, moral, and empathetic developmental lines. If you develop these lines in a balanced way, IDL believes you will naturally, in your own time and in your own way, generate clarity and greater lucidity in your dreams and deep sleep. Is being awake in dreams and deep sleep better than not being awake during these states? Are delusion and unconsciousness worse than clarity and awareness? While IDL supports and teaches higher states of clarity and awareness, it does not believe, as some do, that an enlightened consciousness no longer dreams and is never unconscious. It also believes that enlightenment, delusion, and unconsciousness are relative to contexts rather than absolutes, and that therefore while we can become more enlightened and less deluded and unconscious, the belief that we will finally outgrow delusion and unconsciousness, or that some yoga, such as dream yoga will finally liberate us from them, is itself delusional. Rather, IDL teaches that an enlightened consciousness has an increased ability to choose clarity and awareness combined with a heightened respect for both delusional states, including your waking awareness at this moment, and unconsciousness, as intrinsic aspects of life. The goal for IDL is not to wake up out of delusional and unconscious states but to honor, respect, listen to, and learn from them. For example, we know that deep sleep is not only necessary for physical regeneration but acts as a fountain or generator of formless creativity, of negentropy out of entropy, of life out of death. It is an innate source of what Buddhists call sunyata and associated with what various traditions have called causal or sage mysticism. To end it would be to colonize the very foundations of life’s evolution with our own priorities. Is this a good idea? Are we so certain that we know life’s priorities for us that we can substitute our own goals for its priorities? IDL also does not share the traditional Hindu goal of moksha, or its Buddhist correlate, nirvana, as the liberation from rebirth or samsara. Instead, it teaches an approach to dream yoga that assumes that incarnation is not only a blessing, but a priority for life itself, as life has spent millions, if not billions of years evolving its ability to wake up to itself through incarnation in form, or what the dualism of samkya calls prakriti. IDL views the goal of learning to be fully alive while incarnate as being in alignment with an obvious fundamental priority of life itself. This does not mean that this aliveness cannot or should not be extended to dreaming, deep sleep, or non-physical existence, but only that full aliveness within delusion is not incompatible with waking up out of it in all states. IDL does not view craving and attachment as undesirable things, but rather as tools to be directed by life’s priorities to support life’s own awakening in and through the delusion of identity. IDL also notes that your current degree of waking clarity and objectivity determines the decisions you make when you become lucid in your dreams. If children, criminals, and alcoholics can lucid dream, you do not automatically or magically become all-wise just because you wake up in your dreams. If you read a series of lucid dreams you will recognize that the degree of waking development of the dreamer determines and conditions what is perceived during lucid dreams, how they are interpreted, and what is done with them. Therefore, if you want to become lucid in your dreams, the place to start is by becoming lucid in your waking life, because it is that consciousness that perceives and draws conclusions while lucid dreaming and thereafter. Instead of using lucid dreaming as a vehicle to escape from the limitations of waking life, IDL notes that increased waking lucidity produces clarity in the perception, interpretations, and choices of lucid dreamers. This claim can be evaluated by reviewing the lucid dreams of those who achieve high degrees of clarity in their meditations, such as Chogyal Norbu. Consequently, IDL views dream yoga as primarily a process of awakening your everyday waking awareness, that mind you are using to read and understand these words. It is the consciousness that you will take into your dreams, whether lucid or otherwise, to make sense of them and form your interpretations of them. IDL dream yoga is an integral life practice that involves recognizing and sorting through the largely unrecognized assumptions of your familial and cultural life scripts to decide what is helpful and what has over-lived its usefulness. It involves recognizing and objectifying dukkha and karma, what IDL calls “drama,” in the three realms of your interpersonal relationships, thinking, and dreaming. Thirdly, it involves recognizing and neutralizing emotional, formal, and perceptual cognitive distortions. These three areas together, scripting, drama, and cognitive distortions, are major barriers to lucidity, whether awake or dreaming. If they go unrecognized, as they do in traditional dream yogas and other approaches to lucid dreaming, they will sabotage and limit progress. Learning how to recognize and avoid these pitfalls is, for IDL dream yoga, far more important for the advancement of lucidity than learning particular specific strategies for lucid dreaming. This is why the first half of Waking Up, by this author, deals extensively with their identification and reduction. In addition to reducing these major barriers to enlightenment, IDL dream yoga provides concrete and powerful tools for the development of lucidity. These include pranayama and naming the contents of awareness, both powerful meditation tools meant to be used not only during sitting practice but in the thick of life, at work, commuting, or under relationship stress, when you really need to be centered and balanced. IDL also cultivates ongoing access to the priorities of life itself, as reflected by the preferences of unique and personalized emerging potentials. These are accessed through the interviewing of dream, lucid dream, nightmare, characters as well as the personifications of pressing life issues. This serves as an important antidote to a common delusion. Most of us assume that we know, based on scripture, enlightened masters, science, or culture what the goals of life are and what we need to do to attain them. Do we, or are we merely projecting our own assumptions onto life? IDL assumes this is the case for most of us most of the time, because we have not learned how to consult personifications of life’s priorities and compare them to our own to discover what is in alignment and what is not. Instead, we prefer to assume and believe, thereby finding what we are looking for or fear and remaining blind to all else. IDL does not assume that it knows the goals of life or that you, I, scriptures, or gurus know the goals of life. Instead, IDL provides a sophisticated methodology for finding out which of life’s potentials are wanting to wake up within you today, so that you can align your life with them. This course is preferable to what we typically do: simply assume that our goals, yoga, marga, or integral life practice are aligned with those of life, when they may in fact not be. When we look around at True Believers, whether in religion, a particular spiritual path, or science, we find certainty in the absence of reliable methodologies for listening to the priorities of life itself. Meditation provides important but non-specific centering while prayer often reflects our hopes and fears. Intuition is often simply wrong. Integral deep listening encourages whatever methods that you currently used while recommending the addition of integral deep listening. Your intentions may be noble and your efforts diligent and disciplined, but if they are not in alignment with the priorities of life for you, then you are taking unnecessary detours in your development. IDL saves precious time and wasted effort through the elimination of unnecessary and avoidable conflicts between life’s priorities and your own. IDL dream yoga is meant to be tested in your daily life. To this end, it has developed a free app for both Apple and Android phones and tablets called “End Nightmares Forever!” When you use it to interview a character from a nightmare, confusing, strange, or lucid dream, you will not only gain a broader understanding of why you had it, but receive concrete and specific recommendations by which you can test the method. These recommendations are made by emerging potentials which are represented by interviewed dream characters and the personifications of life issues important to you. These interviewed emerging potentials are attempting to be born into your awake, dreaming and lucid dreaming awareness and actions. This is a dream yoga that moves you into greater lucidity, whether or not you wake up in a dream and whether or not you even remember a dream. As you align your priorities more closely with those of life for you, you wake up in all states; you reduce internal conflict; you are more likely to find yourself in the right place at the right time, saying and doing those things that support the awakening not only of others but of yourself. Gandhi famously said, “Be the change you wish to see in the world.” If we want others to treat us better we might begin by treating ourselves better. This includes learning to wake up out of self-rescuing, self-soothing addictions of all sorts, reducing internal conflict, and generating internal balance among core qualities associated with enlightenment, such as confidence, empathy, wisdom, acceptance, inner peace, and witnessing. As you learn to recognize and wake up out of drama, your dreams will involve fewer themes of persecution, victimization, and rescuing. This is a powerful and profound form of lucidity that is overlooked by traditional approaches to lucid dreaming and dream yoga. If you confront a monster in a lucid dream, what do you do? Do you recognize it as a self-creation? Do you turn it into a guru or ideal sexual partner? Do you use your lucidity to make it disappear or escape from it? Do you respect its autonomy and value? Do you ask it what it is doing and why it is there? Do you start meditating? Any of these responses may be appropriate, depending on your context, and your answer reflects your degree of wakefulness or lucidity within your lucid dream. Practice with IDL dream yoga means that you are more likely to suspend your assumptions about what you experience in dreams and lucid dreams. Using a yoga that is fundamentally phenomenological, you will learn to ask questions and practice deep listening, in an integral sort of way, to the sacred and secular, inspiring and frightening, meaningful and stupid characters in your dreams and events in your waking life. IDL also provides a coaching certification program to speed your own process of waking and dreaming lucidity. By empowering others you place in their hands, hearts, and minds, tools of self-regulation and self-growth, that enlighten the world, one person at a time.